Delivery Information : --- Please Select --- This product is available for IN-STORE COLLECTION ONLY. We can arrange delivery - please call us on 01260 278332. Help maintain a healthy lawn using the D35RE to remove moss and thatch. 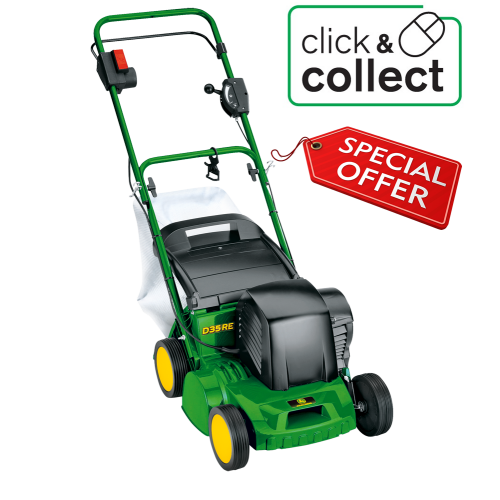 Lightweight yet robust, this machine is perfect for smaller lawn areas. Set the level at which you would like to scarify. The lower you select, the more aggressive the machine will work.